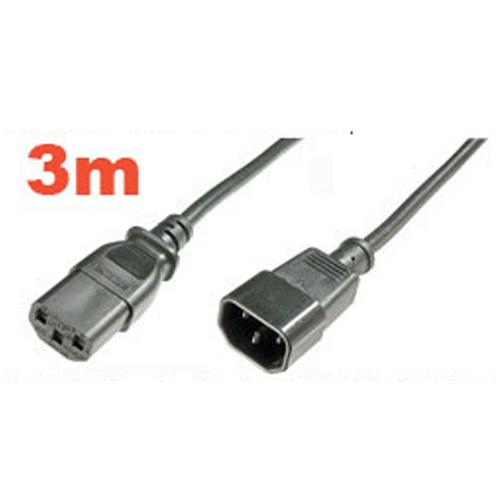 IEC Mains extension cable also used to connect a Monitor or Printer to a PSU. 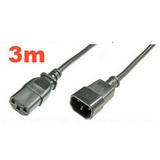 The cable is a handy 3m long (approx) and carries the CE Mark. This is a Heavy duty 10AMP rated cable which means it will handle up power rating of 10Amp / 250v. NB: This is for computers - not for use with Kettles!